You still might not know Lou Gehrig’s Disease, but you’ll definitely remember the Ice Bucket Challenge from last year. It was probably the largest internet-driven campaign from 2014 that helped raise funds and a lot of awareness for ALS (Amyotrophic Lateral Sclerosis) aka Lou Gehrig’s Disease. For a while, the #IceBucketChallenge became a leading internet sensation and got countless plebs and celebs, (the ice buckets found their way to Zimbabwe as well) to take part in it. A lot of people criticised participants and questioned the relevance of the Ice Bucket Challenge to the Zimbabwean and African environment. For most people, Ebola was a greater concern and unsurprisingly it also hatched its own online campaign. After witnessing the impact of online activism, Ruvheneko Parirenyatwa, a local radio talk show host and activist who happened to also take flak for participating in the Ice Bucket Challenge, decided to adopt the use of social media for campaigns that resonate more with Zimbabwean causes. 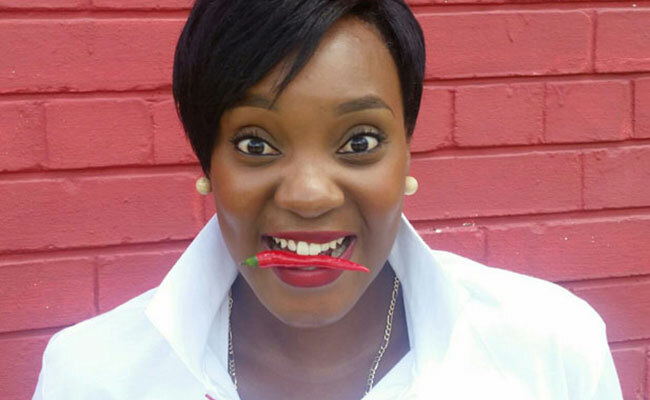 Through the ZimboLove Foundation, a trust Ruvheneko founded to make positive changes in the lives of disadvantaged Zimbabweans, a campaign to raise an awareness and funds for the lack of blood in Zimbabwe, dubbed the Red Chilli Challenge, was started a week ago on social media. Participants are challenged to record themselves eating fresh red chilli, and then nominate others to do the same. Each person who accepts the challenge has to record themselves doing it and post the video up on social media. Every nominee must donate $1 or more to the cause. If a person refuses to do the challenge, they can donate $5 or more to the initiative or go and donate a pint of blood at the National Blood Service of Zimbabwe. According to Ruvheneko, the ZimboLove Foundation is eyeing a viral effect for the videos and leaning on the internet and WhatsApp to help the cause gain momentum. The numbers on how fast the message about Challenge has spread aren’t available yet, but it has grabbed the attention of local celebrities, politicians and business leaders which might help it gain steam as a cause for a Zimbabwean audience. However, behind the noble cause for blood shortages locally or whatever follow-up drives the ZimboLove Foundation will champion, the relevance of the challenge for Zimbabwe lies in the use of WhatsApp as a distribution channel. As one of the big disruptors of local telecoms, the IM platform commands a huge presence in local mobile internet use and media consumption. This is something which has also benefited from products like WhatsApp bundles. This means that videos are viewed by a lot more individuals than would be the case for any other platform that costs more because of expensive data. Thanks to a social media focus the Red Chilli Challenge has also tapped into platforms like Facebook that also have a strong relevance to Zimbabwean internet use. The reach of a free Twitter service can’t also be discounted here as a way to spread the word, something that helps when awareness is a primary objective. At the end of the day the strength is all in a great message (or product) and the most direct way to let everyone know about it; which is something that new age content creators and activists like ZimboFoundation are taking advantage of digitally. Great initiative, but tell me, do we have ghost peppers in zim? Coz someone should take one for the team and take it up a few million notches or so, it would make for some really interesting vids!